How do you spell the color Grey or Gray? Which is correct? How do you spell the color grey or gray? Which is correct, the “grey” or “gray” spelling? Have you often wondered “Am I spelling g-r-e-y correctly…or is it g-r-a-y?”. How do you spell the color grey or gray? Well, the answer is they are both correct. There are two acceptable spellings. Gray is used primarily in the United States and other areas that use US English. Grey is used in Great Britain and areas that use UK English. Proper nouns such as a last name;Earl Grey and Zane Grey would not be spelled Gray and L.H. Gray must be always be spelled Gray. Greyhound as in the dog breed. Food irradiation (quantity of radiation energy absorbed by the food as it passes through the radiation field during processing). 1 Gray = 0.001 kGy = 1 joule of energy absorbed per kilogram of food irradiated. “Is it grey or gray?” is likely one of the most frequently asked questions in regards to common misspellings, however there are many other commonly misspelled wordsrelated to regional differences. In most cases American spellings seem to be a bit more phonetic. Here’s a handy chart. What is the difference between grey and gray? According to a very comprehensive color charted provided by Clorford.com (a trusted resource on color swatches) grey and gray are actually two different “color swatches”. According to a survey conducted both in the U.S. and England, many people believe grey is an actual color perceived as the hue of “silver”, and gray is a sliding scale of values from black to white. 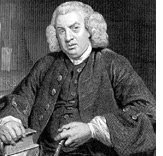 According to an interesting and authoritative note in the Oxford English Dictionary,thespelling “gray” was championed by Samuel Johnson, English writer and lexicographer and other Englishlexicographers; but in the twentieth century “grey” became theestablished spelling in Britain anyway. Meanwhile, in the UnitedStates, “gray” became standard somewhat earlier. Examining twonineteenth-century U.S. dictionaries–Webster’s Academic Dictionary(1867) and Webster’s Condensed Dictionary (~1897)–and both includeentries for “grey” that refer readers to “gray” for the term’sdefinitions. So what is the difference between grey and gray? On the one hand, this indicates an early preference in theUnited States (or at least at Merriam-Webster) for “gray”; but on theother, it suggests an incomplete victory, since British spellings suchas “labour” and “labelled” don’t appear in those dictionaries at all. —Samuel Johnson, on the behavior of the Britishcolonists in America; “An Introduction to the Political Stateof Great Britain. Find anything I’ve done useful? Buy me a cup of coffee! Doing website is mighty thirsty work! Also I need to pay for the hosting. Thanks a bunch.